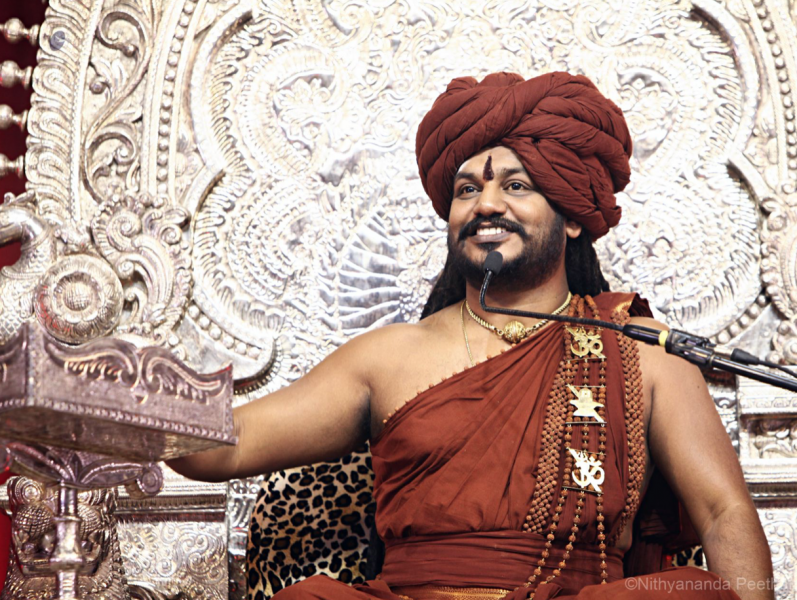 Last Sunday Paramahamsa Nithyananda, known to his followers as ‘Swamiji’, conducted a programme from his ashram near Bangalore, India. I’ve attended many such events, both online and face-to-face. Two years ago, in Varanasi, a paediatrician told me that Swamiji had given him the ability to scan children’s bodies using his ‘third eye’, known in Sanskrit as the anja chakra. That sounded very useful for a doctor, but I never imagined that I would be able to do it. Since then, Swamiji has begun teaching a wide range of shaktis, or yogic powers. On Sunday he initiated us into the shaktis of body-scanning and healing, via two-way video. This involved a detailed explanation, followed by a formal initiation in Sanskrit. After that, it was time to get started. One of Swamiji’s devotees instructed us to sit in pairs facing each other. The first task was to look at the other person’s body using the third eye and say where we saw any ailments. I told the lady opposite me that there was something wrong with the joint in her right knee. She nodded and said that she had problems with both knees. Then we changed partners. I sat opposite a man and told him he had a problem with his mouth. He said that was correct. Then I sat opposite another man and told him he had a problem at the front of his skull. He told me he had a headache. Three out of three is a surprising result, particularly since I have no medical training. I should mention that I also saw an ailment in one of the three people’s lower abdomen, on the left. They didn’t recognise the problem, but that doesn’t necessarily mean that there wasn’t one. Presumably a doctor who had been initiated into this shakti would investigate further. Anyway, while one of the participants was healing me using the third eye, my body began to jump in the way it often does when I’m ‘connected’ to Swamiji. It happened again when a new participant, who was sceptical about the whole thing, had a go at healing me.